BCE Catering Equipment Ltd is a 100% New Zealand owned business founded in 2000 with a vision to provide the hospitality sector with exceptional service and quality products that was unequaled in the Wellington region. and Butler Gibpat. In April 2012, Neil and his wife Siobhan purchased BCE Catering Equipment Ltd. Their aim has always been to service the hospitality industry with honesty and expertise whilst providing quality products and equipment for their customers. BCE's main offices and warehouse are based in Paraparaumu, on the Kapiti Coast, where we have an experienced showroom customer services team. Plus we have a team of mobile Sales Reps covering Wellington, Wairarapa, Manawatu through to Taranaki. However, we also have loyal customers the length of the country from Auckland to Invercargill and everywhere in between. Our customers are the cornerstone of what we do when providing service, knowledge, assistance and product selection and BCE’s vision is still as strong today as when it was first started. Combine this with their experienced staff and knowledge of the industry and you’ve got a team you can count on! 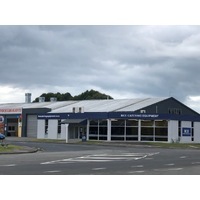 Our Showroom is located at 37 Te Roto Drive, Paraparaumu. Turn right off Kapiti Road at the Te Roto Drive lights intersection and then look out for our signs on your left. You'll find us on the corner of Te Roto Drive and Birmingham Street. You can't miss us. Opening hours are Monday to Thursday 8.30am to 5.00pm, to 4.30pm on Fridays. Neil Thomson 027 2435 627 Email: neil@bce.net.nz Strategic Partnerships, Wellington CBD and Contracts.